Temperatures are finally warming up a bit in our area, which means it’s just about time to shut our heaters down for the season, schedule an AC tune-up, and start enjoying the comfort an effective cooling system can deliver. But wait, before we talk about shutting our heaters down—how did yours perform this past winter? Did it show any signs of struggle? Were you told it needed repairs, but have yet to take care of them? Even if your heater is operating “okay,” ignoring any sign of a heating system problem can cause it to turn into a much bigger issue, leaving you with a broken down heater next year when you need it the most. Depending on what caused your heating issue, you may even find yourself with air conditioning problems this spring and summer, by neglecting a repair need for your heater. Keep reading to learn some of the indications of heating system problems. Spring may officially be here, but we’ll still experience cooler temps for a while. Therefore, it’s no secret you want to have a functional furnace that operates efficiently. We have some news—if your ductwork is damaged, there’s no way this is possible! If you have breached ductwork, you could be losing as much as 30% of the conditioned air you are paying for. This also means your furnace must work harder to reach the temperature set on the thermostat. The furnace won’t operate efficiently and will cost more to run. 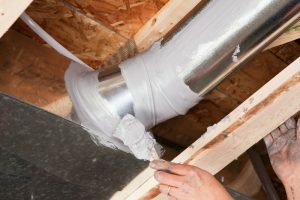 But how do you know if your ducts are damaged? After all, they’re all hidden out of sight—behind walls, beneath floors, or in your attic or crawlspace. Should You Have a Heat Pump Installed? It may almost be the official start of spring, but temperatures are still cool for now, and probably will be throughout the start of May. Hopefully, your heating system served you well and you’ve had minimal problems with it—this will typically be the case if you had your system professionally tuned-up before the start of the season. But what if you have an aging heater? One that is just about ready for replacement? 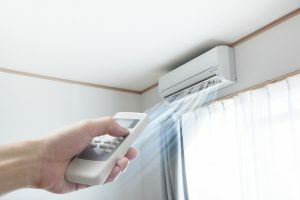 Well, if you’re also going to need a new air conditioner soon, we’d like to suggest the installation of a heat pump system, which is a two-in-one heating and cooling system that will give you year-round comfort. Is it right for your home, though? 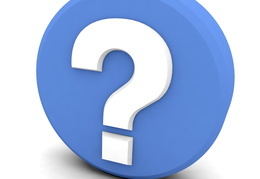 Posted in HVAC | Comments Off on Should You Have a Heat Pump Installed? As winter comes to a close, it’s easy to neglect your heating system and turn your attention to your air conditioner. In fact, we hope you’re thinking about your cooling system, since now is the perfect time to schedule AC maintenance. However, if you have an aging heater or if you skipped maintenance, we encourage you to follow a few care tips, like those we’ve listed below, before shutting off your heater for the season. Remember, ignoring any sort of heating problem won’t make it go away. In fact, neglecting it until next fall when you need your heater again can do more harm than good. Read on for how to properly keep your heater in good shape as the season comes to a close. Does Your Ductless System Need Repair, Or Replacement? Your HVAC system is one of the most important components to your home, especially considering how chilly it can get in the winter, and equally how hot it can get in the summer. Given our relatively minor winters, though, homeowners in our area tend to opt for a system that can both heat and cool, such as a heat pump, or a ductless system. If you are using a ductless system to both heat and cool your home, great! It is important, however, to remember that just like any other home comfort system, ductless systems do wear out. As a result, you’ll need repairs on occasion, and eventually replacement. But how do you know when this time has come? Posted in Ductless Systems | Comments Off on Does Your Ductless System Need Repair, Or Replacement? We may not experience the frigid temperatures that our friends in the Midwest do, particularly lately, but our winters still necessitate the use of a fully functioning, efficiently operating, heating system. So if your heating system is experiencing problems right now, we understand the concern! 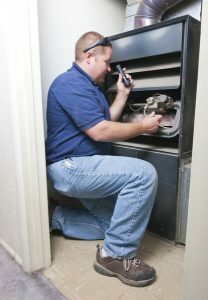 Fortunately, though, if you can detect problems with your furnace early enough, you can have them repaired before they develop into a complete system breakdown. However, you need to be particularly vigilant if you want to catch these problems early enough. If you’re reading this blog post, then you’re already on the right path! After all, one of the first signs that something is, in fact, amiss with a heating system is the presence of strange noises while the system is in operation. 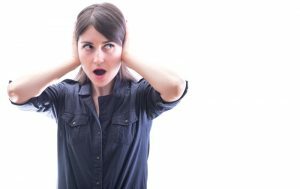 Keep reading for a description of some of these noises and what they mean, and be sure to make your next step calling in a pro for repairs! Could You Use a Thermostat Upgrade? If you are still using an old manual thermostat—you know, the one with a little slider that’s hard (actually, next to impossible) to get on the exact right temperature you need it to be—then the answer to this is a resounding yes. 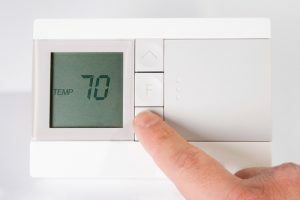 But even if you have a basic digital thermostat, there are a number of advancements that have been made and you may benefit from an upgraded device. The good news is, when you do need professional San Ramon, CA thermostat installation, you needn’t look any further than our team. Keep reading to learn more about how and why you may benefit from a thermostat upgrade. Posted in Thermostats | Comments Off on Could You Use a Thermostat Upgrade? Should You Make a Heat Pump Your Next Home Comfort Installation? This is typically the time of year that homeowners throughout San Ramon are using their heaters on a daily basis, not necessarily shopping for a new system. But if your heater has reached the end of its run, your situation is different, and you’re likely in a rush to find a new heater, now! We urge you to consider your options, and not buy the first system you can find in your budget, as this can be a mistake not only in the installation, but over the years if the system’s efficiency doesn’t meet the needs of your home. If you have a traditional furnace in place, as well as a standard central air conditioner that also might be aging to a point that an upgrade is due, you’d do well to consider the installation of a heat pump system. Heat pumps operate on the same principle as an air conditioner, but can also be used for heating. Keep reading to learn more about the advantages of such a system, and be sure to reach out to our team for professional San Ramon, CA heat pump services. Posted in Heat Pumps | Comments Off on Should You Make a Heat Pump Your Next Home Comfort Installation? How to Make Your Heater More Efficient, For Free! Well, our very first tip here isn’t for something that’s free—but investing in it will make your heater much more affordable in the long run. We’re talking about heating maintenance. Maintenance is a service that every homeowner benefits from. It should be done once a year—preferably before you need your heater for the season. But it matters more that you are consistent with scheduling a maintenance tune-up once a year. During this service, our technicians thoroughly inspect your heating system, cleaning and checking for any signs of disrepair or components that need adjusting. Managing these issues right away rather than neglecting them helps your heater to not only perform more efficiently, but it also reduces the risk that you’ll run into a sudden breakdown this winter. Now, onto the rest of our heating efficiency tips! Posted in Heating | Comments Off on How to Make Your Heater More Efficient, For Free! A heating system may break down with little to no warning at all. It will go from seemingly operating “just fine” throughout the day and night to suddenly halting, or just not turning on at all. This is uncommon, particularly if you had fall maintenance. 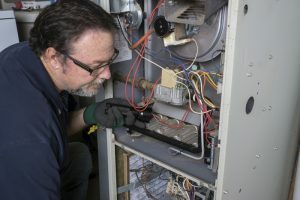 Even with that tune-up though, unless there’s a sudden electrical failure, a furnace or heating system usually gives off some sign it’s about to fail. Often, this sign is a loud and/or unfamiliar noise. It may be accompanied by some unusual performance from your heating system, but this isn’t always the case. We don’t encourage you to try to repair the system on your own, but at least you can be prepared with what might be going on, before you call a pro for expert heater repair in Alameda, CA.